A smart hotel with free WiFi in the Stockport Exchange business districtHoliday Inn Express® Stockport hotel is next to Stockport station, only 10 minutes by train from central Manchester.We’re right beside the A6, close to the M60 motorway and a short drive from Manchester International Airport (MAN). Football fans can reach Manchester City’s Etihad Stadium or Old Trafford, home of Manchester United, in around half an hour by car. For a visit to the countryside, the Peak District National Park is a 30-minute drive away. If you’re visiting on business, major local companies including Sky and British Gas call centres are located close to the hotel, and our 2 fully equipped meeting rooms have space for up to 20 delegates, with hot buffet lunches available on request.At this hotel you can enjoy:- An Express Start™ Breakfast included in the room rate- High quality bedding and a choice of pillows- Rooms with sofa beds for familiesOur comfortable bedrooms have Smart TVs, handy bedside USB ports and flexible work spaces. An interactive Information Wall in the lobby displays local attractions and train information. You can easily order food and drinks around the clock from the Express Café and Bar. If you're heading out for the evening, there are plenty of restaurants and bars within a 10-minute walk, and our friendly staff are happy to make recommendations. Situated in a residential district close to Stockport's bustling town centre, the Britannia Hotel Stockport is a budget hotel near to the M60 ring road taking you into Manchester. There is an attractive leisure club with a good size pool. The bedrooms are dated but clean and are also currently being refurbished. The hotel is ideal for those looking for a base in the Stockport area. Stay in one of 148 guestrooms featuring flat-screen televisions. Complimentary wireless Internet access keeps you connected, and satellite programming is available for your entertainment. Private bathrooms with shower/tub combinations feature complimentary toiletries and hair dryers. Conveniences include safes and desks, and housekeeping is provided daily. This tradtional property is ideally located in Stockport, close to train and bus routes. 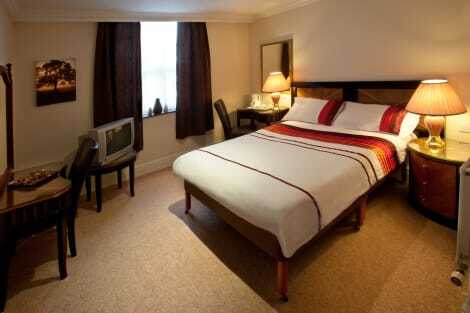 There are a total of 52 rooms on the premises all with high speed, free Wi fi access. Guests can enjoy the convenience of a 24-hour check in. A key collection service is available. There is an Italian Restaurant on site and a comfortable bar area serving bar snack during service times with BT sports available. The free on-site car park may be useful to those arriving by car. At the top of Stockports historic Market Place, this hotel is great for both business and leisure guests visiting Stockport, Manchester or Manchester Airport At the top of Stockports historic Market Place, this hotel is great for both business and leisure guests visiting Stockport, Manchester or Manchester Airport. 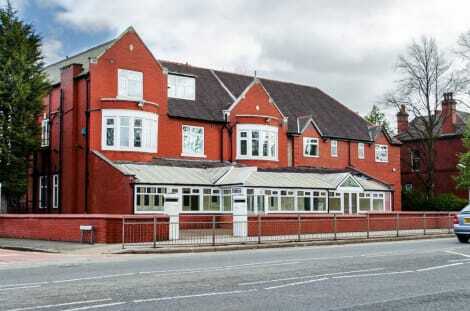 Within easy reach of the M60, walking distance of Stockport train and coach stations and just 10mins away from Stepping Hill Hospital, this hotel boasts excellent transportlinks and historical features with spectacular views of Stockport centre. Our Stockport Central Premier Inn has everything you'd expect, free parking, incredibly comfy beds in every room and an onsite restaurant. An ideal location for the airport this Premier Inn is just 5 miles from Manchester airport and within easy reach of the M60 An ideal location for the airport this Premier Inn is just 5 miles from Manchester airport and within easy reach of the M60. For shops and local amenities Stockport town centre is within walking distance. Our Stockport South Premier Inn has everything you'd expect, incredibly comfy beds in every room and an onsite Beefeater restaurant serving freshly cooked chargrilled food. Stockport, in Greater Manchester, is a large town just seven miles from the centre of Manchester and 15 miles from the Peak District National Park. Book a Stockport hotel with us and explore a vibrant town with cobbled streets, beautiful open spaces and access to enchanting natural scenery. Stockport's history comes to life with three sites worthy of your attention. Firstly, Staircase House in the heart of the town's historic market place is a medieval delight built in 1460. Within you'll find faithfully restored rooms with décor, furniture and fittings reflecting past centuries, from a bedroom with a 17th-century four poster bed to an 18th-century dining room. Hat Works is an award-winning visitor attraction dedicated to the fine craft of millinery. Located on the site of an early 19th-century cotton spinning mill which became a hat works in the 1890s, the museum has two floors of exhibits. You'll find 20 original working machines and more than 400 hats. Situated in the town centre is a fascinating relic of WWII. Constructed in 1939, the country's largest purpose-built civilian air raid shelters are ready for rediscovery. Enter the warren of subterranean tunnels that were carved into the sandstone cliffs and imagine being one of 6,500 people praying for the all-clear to be given. The River Goyt and the River Tame converge in Stockport to form the Mersey. You can follow the course of the Goyt by walking the Etherow-Goyt Valley Way, a 15-mile trail that ends in Longdendale on the western edge of the Peak District. Beginning in Stockport's Vernon Park, the path takes in the reservoir and woodland of Etherow Country Park before joining the River Etherow. From here you follow the river's course to Broadbottom where there is a steep climb which is rewarded with fantastic views of the countryside. The walk finishes at Bottoms Reservoir in Hadfield where you'll be confronted by the magnificent Peak District. Relax and watch a movie in Art Deco splendour at the Plaza Super Cinema and Variety Theatre. Opened in 1932, the theatre has been restored to its heyday peak and regularly shows classic movies, stand-up comedy, musical shows and plays. You'll find a great selection of eateries in the town including a couple of American-style restaurants. CockaDoodleMoo, with its barbecue and burger dishes, and Elvis' Kitchen whose menus have a distinct 'King' theme to them, are popular haunts. For perhaps a more genteel, European alternative, Damsons is a stylish restaurant serving home-cooked meals using locally-sourced ingredients. There are plenty of places to pick up essentials, gifts and the like in Stockport. The Merseyway Shopping Centre has over 60 shops as well as cafés and banks. Princes Street and Warren Street provide further shopping opportunities, as does the Peel Centre retail park. For quirkier products, Stockport Market has 50 independent businesses selling an array of goods.